I had been in Port Moresby for a few days. I had enjoyed visiting The National Museum and seeing some wonderful masks, carvings and bark paintings, and eating lunch at the expat hangout of the Yacht club, but safety reasons meant I could not leave the compound I was staying in to walk around and explore. I had to get out. I needed to travel and see more of this rarely visited country. Port Moresby is one of the more unusual capital cities in the world in that it is isolated from the rest of the country. No roads go in or out and all transport has to be by either walking for many days, boat or aircraft. I went off in a rescue helicopter. Not that I needed rescuing, but I knew the pilot and the helicopter needed to go on a test flight after some annual heavy maintenance. It had yet to have its doors replaced, which gave me an even better view as headed out up the coastline. It is extremely exhilarating leaning out and looking down, with the wind in your face, as you travel a hundred metres off the ground. Not recommended if you suffer from vertigo. 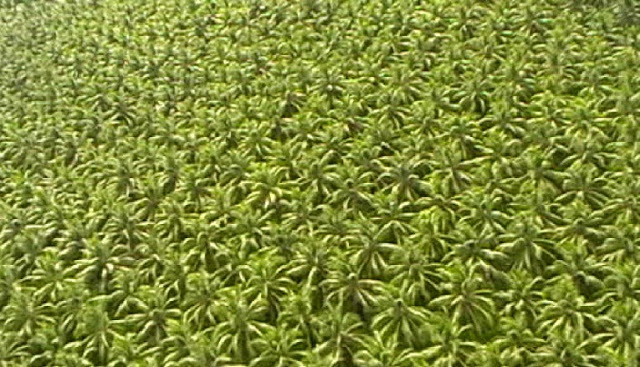 We headed inland over a beautiful pattern of a planted palm plantation before heading up into the hills, near the Kokoda track, the scene of much fighting between Australian and Japaneses forces in WWII. This was where the helicopter did most of its work, rescuing injured hikers trying to complete the physically grueling trek. It also rescued those too unfit to continue, recently picking up two Scandinavian backpackers who could not face any more, although at a rental cost of A$1000 per hour it was not a cheap way out, which shows hard the trek must be. 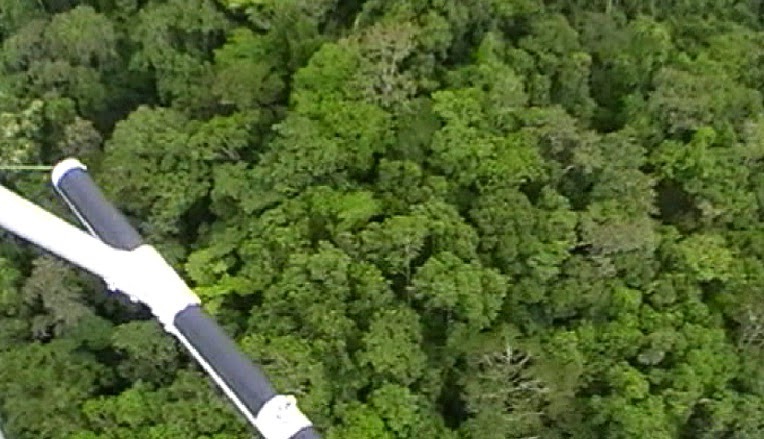 We flew higher into the Owen Stanley ranges, skimming above the top of massive trees. There were few signs of human habitation. 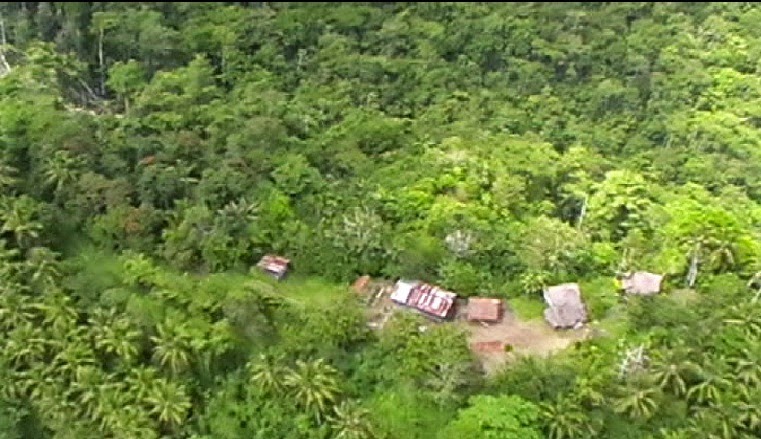 Few people live out here, there are no roads, and it would take 2 or 3 days walking to reach Port Moresby. I had been fascinated looking over the aviation maps before we left listing land height and settlements, it was the only time I had ever seen areas marked on a map as 'Unknown' and coloured dark brown. There are areas of PNG that have still to be mapped accurately. 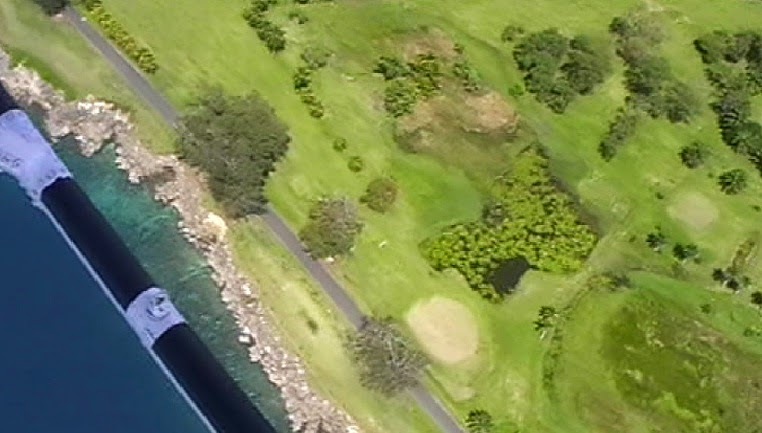 The pilot wanted to check an external ventilation part, so we looked for somewhere to land, not easy with so many trees and the steep ground. He saw a small collection of houses, with some cleared ground next to them, and we landed gently and precisely in a small muddy patch of ground. The villagers were surprised, to put it mildly, and most scampered off into the bush. A couple of men came out as the helicopter blades stopped spinning and I wandered up to them and started communicating. My pidgin was not that good, so we spoke in broken English. Life was simple but I imagined hard, they grew their own crops on land they had deforested, and collected rainwater to drink. Some villagers did trek to Port Moresby a few times a year, walking two days and then getting a bus, but I am guessing they had not had many white visitors here before, and this was clearly the first helicopter that had landed here. By now, only the smallest children were still hiding behind houses, and I was taken on a quick tour of the village. One of the biggest surprises was that they had mobile phones even here, although they had no electricity. 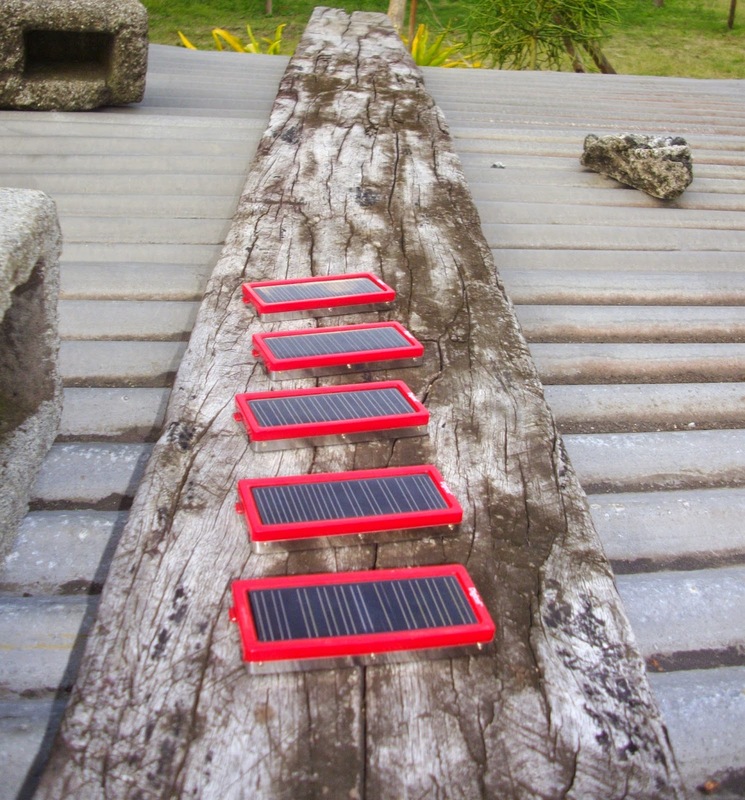 All their phones were charged by small Digicel solar panels, which were lying on a communal charging plank, over a corrugated iron sheet designed to collect water. One of the young men explained they used their phones to arrange bartering their vegetables with a village 10km away which specialised in livestock. They never used voice, as that was too expensive, but relied solely on text messaging. Depending on the supply and demand, potatoes, mangoes, peppers and carrots were regularly swapped for chickens and pigs and they metup half way to barter. They also checked the market prices in Port Moresby, and when prices were particularly favourable supplies were walked and bussed into the big city. The mobile phone, something we all take for granted in western society, was the only sign of modern living that had arrived in the village, and it had improved their lives substantially. The helicopter had been checked and I was called to climb back in. The mists were coming in and the pilot wanted to take off before the weather closed in further. The villagers waved goodbye and ran for cover as the blades started noisily, violently disturbing the long grass and trees nearby. It only took thirty minutes to get back to the modern world, and reality of all that brings, of Port Moresby.